Santa Claus Christmas Celebration in Santa Claus, Ind. Santa Claus Christmas Celebration in Santa Claus, Ind. 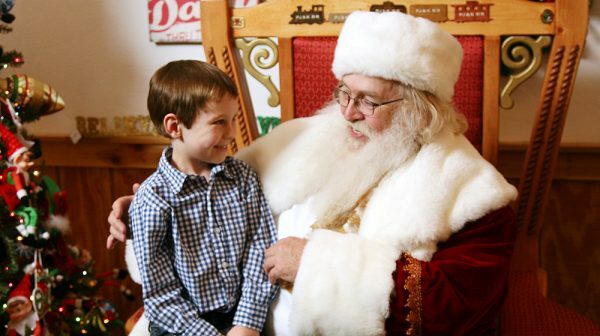 Experience Santa Claus, Indiana, during the three-weekend Santa Claus Christmas Celebration each December. Special events and holiday traditions take over the town and provide a very merry getaway during one of the most wonderful times of the year. From festive shopping experiences, one-time-only holiday events, and Christmassy lodging, the town of Santa Claus goes all out during the holidays. Explore the Santa Claus Museum & Village to learn the magical story of how this town got its name. 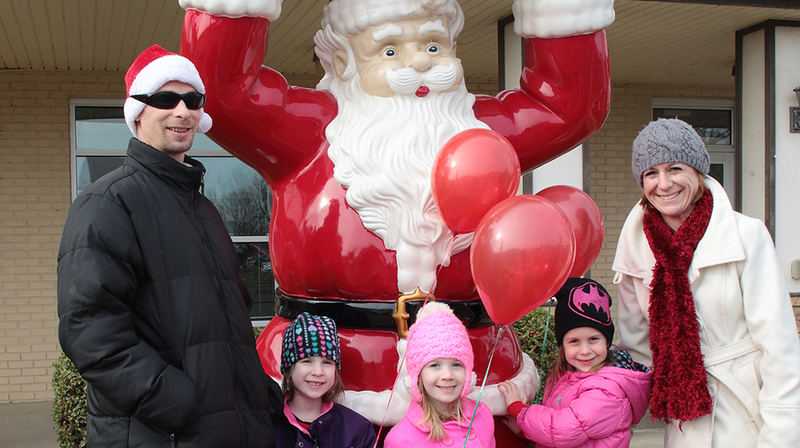 While you’re there, pose for a family photo in front of the 22-foot-tall Santa statue. Treat yourself to delectable homemade confections from the historic Santa’s Candy Castle and enjoy Christmas Dinner with Santa at Santa’s Lodge. See how many Santa statues you can spot throughout town. Stop and watch Santa’s Giant LED Tree of Lights perform a choreographed light show in Kringle Place Shopping Center. Share your holiday spirit through the mail! Hand-cancel holiday mail with the one-and-only Santa Claus Postmark from the only post office with the Santa Claus name. Write a letter to Santa in the original Santa Claus Post Office (located at the museum) and get a reply from the jolly guy in red before Christmas. And, of course, you won’t want to miss a chance to visit with Santa Claus himself at the Santa Claus Christmas Store while you’re in town. Special events include the Santa Claus Christmas Parade, Chestnuts Roasting on an Open Fire, the Santa Claus Arts & Crafts Show, Das Nikolausfest, Dancer’s Dash 5K, the Festival of Lights, and so much more. Browse shops like Santa’s TOYS, Evergreen Boutique & Christmas Shop, Rayelle Collection, and other local spots. We’re continuing to add events to the list! Find upcoming holiday events here and keep checking back as we get closer to the season! Click here to download a SAMPLE of the printable three-weekend Santa Claus Christmas Celebration Event Guide. Events and dates are from 2018 and not yet confirmed for 2019. 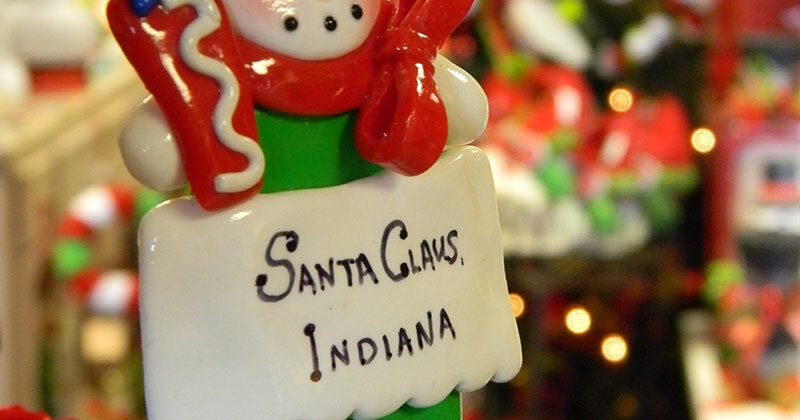 Make it a very merry weekend and stay overnight in festive lodging throughout Santa Claus, Indiana. Get cozy in one of Santa’s Cottages or a cabin at Lincoln Pines Lakefront Resort. Both include a pass to go through the Santa Claus Land of Lights. 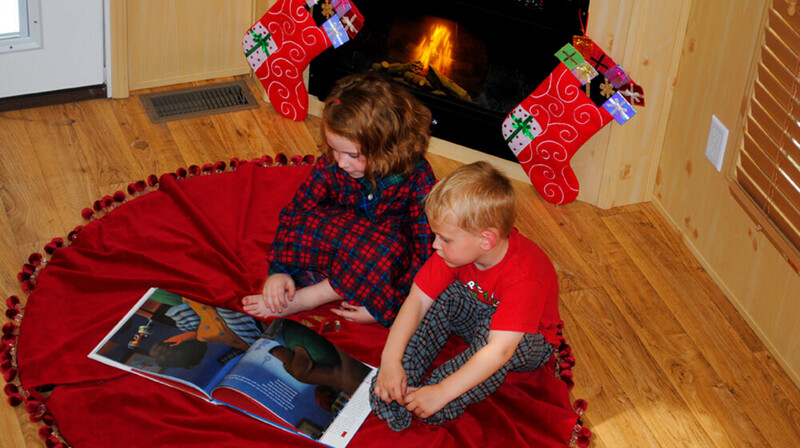 Book a room at Santa’s Lodge and enjoy milk and cookies with Santa before bedtime. Stay Rudolph’s Christmas Cabins at Lake Rudolph Campground & RV Resort and enjoy a breakfast with Santa. Check back at the end of summer to get details on all Christmas packages! We love to help visitors plan a holiday getaway! Send us a message with any questions and let us know how we can help make your holiday jollier. Use our Trip Planner tool to plan out your trip itinerary. Send a list of events and attractions you don’t want to miss during the Santa Claus Christmas Celebration with family and friends via email. It’s easy to use; learn how to make the most of the Trip Planner here.